Our Caleb Brett business in the UK has launched a new test in response to the changing composition of diesel fuels in the market - the CEC L-109 method "Oxidation Test for Engine Oils Operating in the Presence of Biodiesel Fuel". Environmental concerns mean there is an ever-growing demand to increase engine efficiency and improve green credentials such as fuel consumption and engine emissions. This increases the stresses on the engine oil, and when coupled with the increasing trend for modern diesel fuels to contain a proportion of biodiesel components, this presents new challenges for the role of the engine oil – and new performance requirements. To quantify the performance of an engine oil when contaminated with biodiesel, the Coordinating European Council has developed test method L-109, an oxidation test to examine the impact of biodiesel fuel on diesel engine oil under strenuous conditions. "The new test is a lab-scale bench test in which a candidate diesel engine oil has a small amount of pure biodiesel fuel blended with it, and the resulting mixture is heated and aerated under controlled conditions for up to 9 days. Small samples are taken throughout the duration of test to examine the change in two key properties of the oil. Firstly, using infra-red spectroscopy, the degree of oxidation is examined – oxidation must be minimised to reduce acidity and formation of deposits which could both be damaging for the engine. Secondly, kinematic viscosity is determined – an increase in KV can lead increased friction and lower wear-prevention, which can reduce efficiency and increase wear. Intertek's Fuels and Lubricants Centre in Farnborough has become the first Intertek lab in Europe to offer L-109 testing and, at full capacity, Farnborough has the ability to run around 60 samples per month. L-109 is a new addition into the ACEA oil sequences for 2016, and as of December 2017, all newly-formulated engine oils that wish to claim against the ACEA oil sequences must obtain the relevant pass criteria for this test (this includes ACEA A3/B3, A3/B4, A5,B5, C1, C2, C3, C4, C5, E4, E6, E7 and E9). This demonstrates the importance of undertaking L-109 testing for oil and additive companies operating in the European market place. The set-up of L-109 also paves the way for another related test, L-105 – "Low Temperature Pumpability", which is also a requirement for many of the ACEA categories listed above. Andy Clague, Site Manager at Farnborough, said: "The introduction of this test capability shows Intertek's ability to respond rapidly to market-driven customer demands through the early adoption of new testing methods". Intertek Fuel and Lubricants Centre has extensive experience covering aviation, industrial and automotive lubricants and greases. Our laboratory has the ability to run testing to a variety of specifications including ASTM, IP, CEC, SAE, UK Def. Stan., US Fed. Stan., US Mil. Spec.. Additionally our team of experts can offer bespoke testing methods and custom troubleshooting to satisfy our clients requirements. Learn more about our capabilities covering analysis of Formulated Oils, Hydraulic Fluids, Oil Additives and Base Oils or contact us directly with any queries or comments. 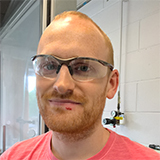 Today's expert blogger is Sam Tinsley, Lubricant Specalist at Intertek Farnborough Fuels and Lubricants Centre. Sam joined Intertek in 2016, he is highly experienced in method development and implementation and an active member of the SAE and CEC committees. Having graduated from UCL with a degree in chemistry he has over 7 years' experience in the lubricants industry.